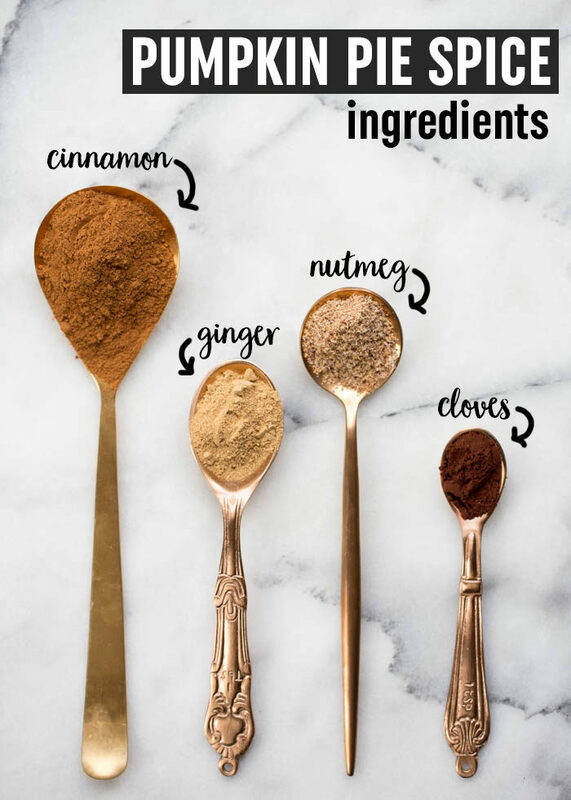 Save money and make your own pumpkin pie spice mix with the spices you already have in your cupboard! I’ve always had a bit of a problem with buying pumpkin pie spice. Why should I spend the extra money when I already have the spices in my pantry?! 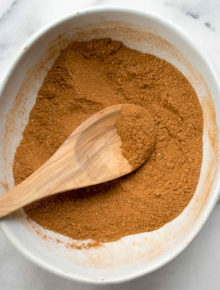 After all, there’s no need to buy another new bottle of spices when I can easily make my very own substitute for pumpkin pie spice right at home. But wait – let’s back up a sec. 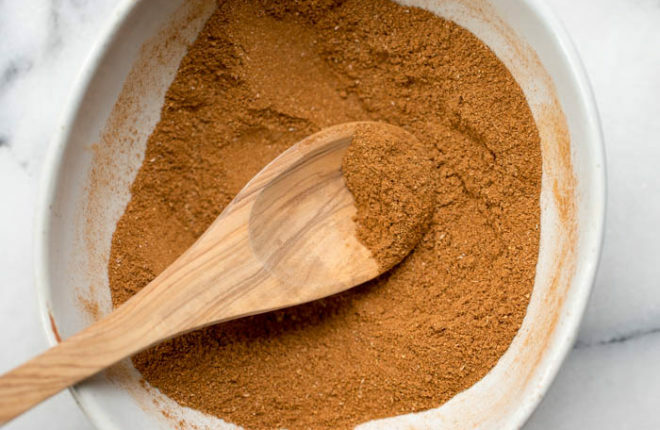 What is pumpkin pie spice, you ask? Pumpkin spice lattes? They’re so not about the pumpkin, my friends. They’re about the spice. I suppose more abstract definition of pumpkin pie spice would be “fall in a bottle.” See also: Pure autumn magic. It’s so easy to throw together, and, yeah – definitely convenient for when you’re making all those wonderful fall-ish pumpkin recipes. Oh, and if you’re feeling especially DIY-ish today, how about making your own homemade pumpkin puree while you’re at it? Also totally worth it! Pour into an airtight container (a spice funnel or even a regular funnel helps keep the mess in check). 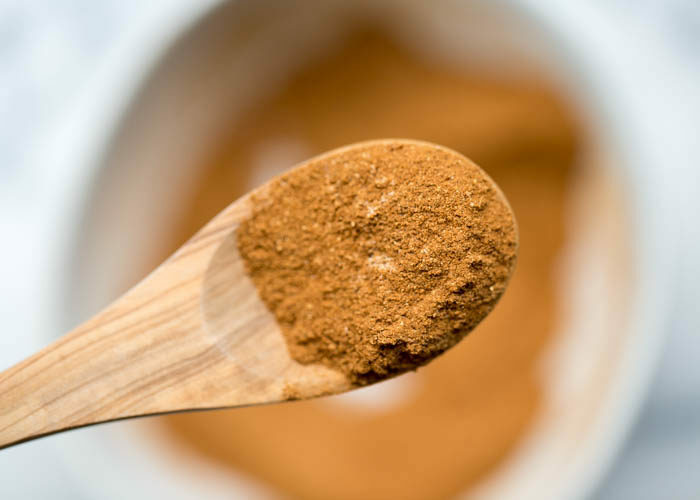 Use anytime a recipe calls for pumpkin pie spice mix – or even in most pumpkin recipes that call for similar spices. 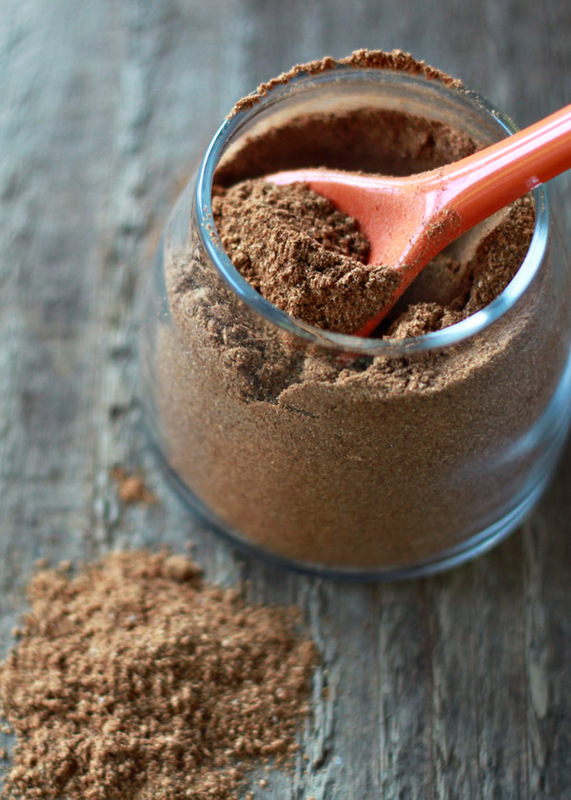 NEED LESS PUMPKIN PIE SPICE? haha! I have always thought the same thing! Simple and delicious spice recipe just in time for pumpkin season. Huh… i really do need to do this. I say this after I just bought a teeny $7 container of pumpkin pie spice from the store. Ugh… next time! If you have a Sprouts or Whole Foods near you they sell all of the spices in bulk and you can buy as much or as little you need. Oops, meant to give it 5 stars! I also wanted to add that I used an old spice jar from something I’d used up, so the process was essentially free since I already had all of these spices in the apartment! Hi Lauren! I loooovvve the idea of adding a pinch or two to your morning cup of coffee and I am headed to the kitchen to try that right this instant. This is so awesome for all the fall recipes. Thank you for sharing! Just what I needed…yummy!! Thank you! I like these spices to make home carrot cake, the best spices ever. I love this recipe…. i use it all the time….. even in my fireside coffee recipe…..
Would love to hear more about your fireside coffee recipe! I am not a regular coffee drinker ….got hooked on those international instants …..but they were a bit $$ found fireside coffee recipe in one of my favorite place …all recipes …its instant coffee…(i use foldgers) hot chocolate mix ,powdered creamer( i use french vanilla ) and cinnamon and nutmeg…. 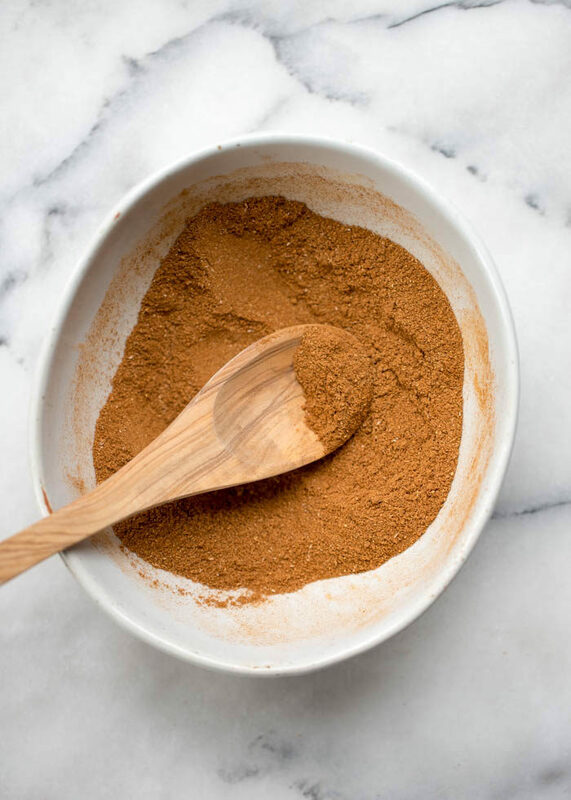 i just use my pumpkin pie spice instead….. its really good and i drink it all winter long….i even like it once it gets cold….. Thanks a lot for sharing the recipes of pumpkin pancakes and pumkin pie spice mix. As Spanish I am not familiar with them and do not find that spice blend in supermarkets. Your explanations are wonderfully clear and useful. I plan to enjoy these pancakes with my family this weekend. Also, great to finally know how to make buttermilk at home.